A luxury resort with 2 Bedroom, 2 Bathroom fully equipped condos with full kitchen, fireplace and in-room hot tub. 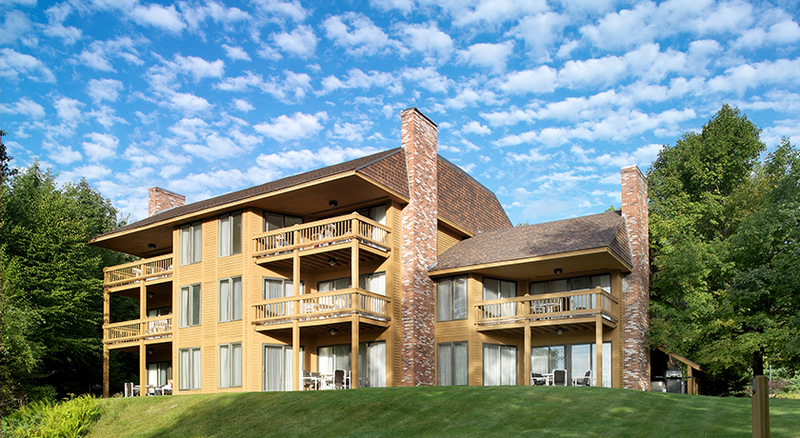 Summit Resort is a four season getaway overlooking New Hampshire's magnificent Lake Winnipesaukee. Ideal for families, the comfortable, spacious suites provide privacy for six with the convenience of a full kitchen and dining area. Resort also includes a full service amenities center with indoor pool, hot tub, sauna, racquetball court, ping-pong table, lounge and small game room. All rooms and common area on property are non-smoking. $200 Security Deposit is due upon check-in from all non-members. Reservations made through Friday and Saturday may require a room change. All rates are subject to change based on availability. Deposit is due at the time the reservation is made. The deposit due is 50% of total stay. Check-In time is 4:00pm. $200 Security Deposit is due upon check-in from all non-members.